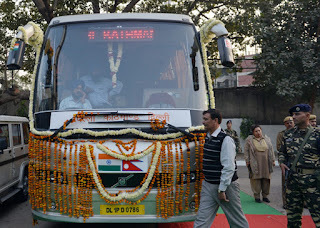 India-Nepal friendship bus service A friendship bus service between India and Nepal was flagged off via Champawat district in Uttarakhand after a gap of 27 years. The resumed bus service has been regularised and will run between Kanchanpur in Nepal close to the Banbasa border in Champawat district and Anand Vihar in New Delhi. People travelling in these buses do not require any special documents to travel. These buses are air conditioned and provide free wi-fi connectivity to passengers. 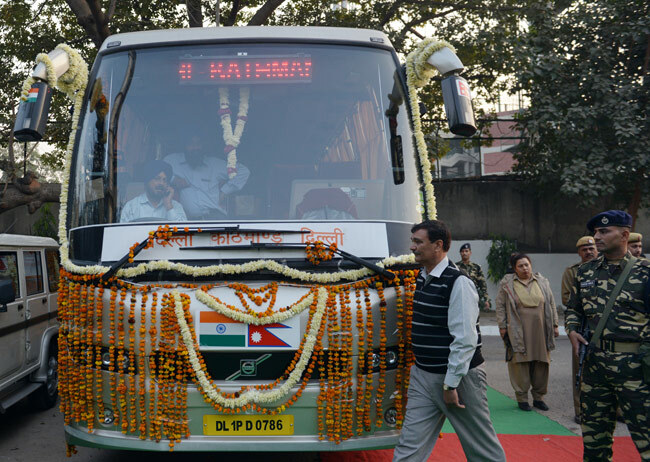 The India-Nepal friendship bus service was suspended 27 years back in the wake of the Indo-Nepal Trade and Transit Treaty. This bus service is mainly used by the people on both sides of the border as they have family as well as trade relations with each other.